With space a premium in Tokyo, one architech has taken it upon himself to let the space given to him define the type of building he creates. Yasuhiro Yamashita has took advantage of this small plot of land that’s no more than 25ft x 25ft. 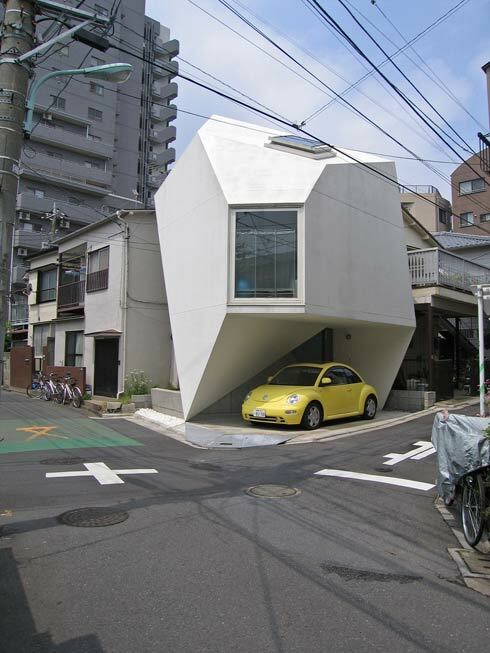 He has not only managed to construct a very livable space, but also enough room to park a car. You can see the full set on Flickr.